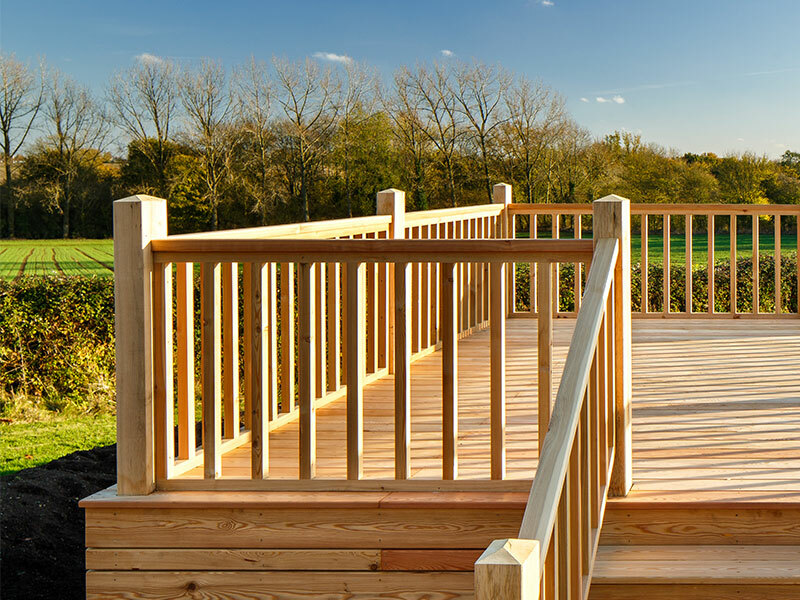 Siberian Larch decking, custom mouldings for handrails and Oak beams were supplied for this amazing deck over looking the country. 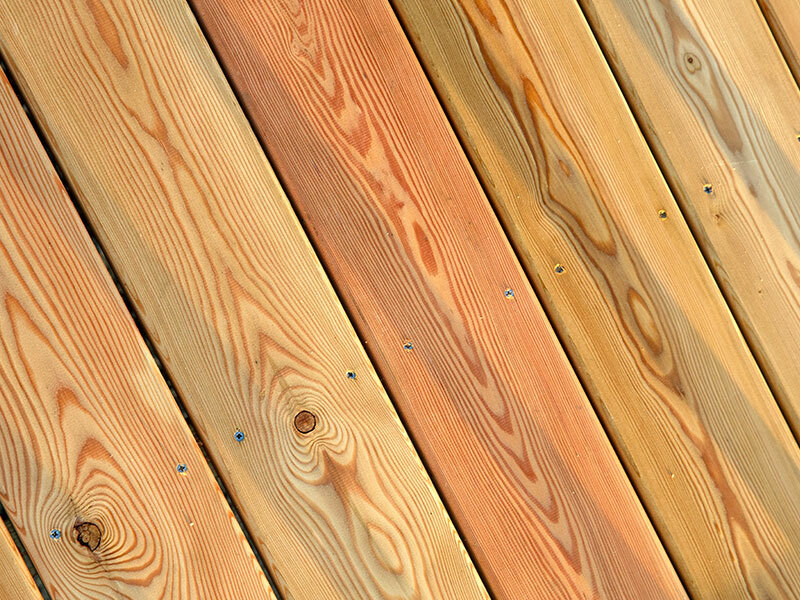 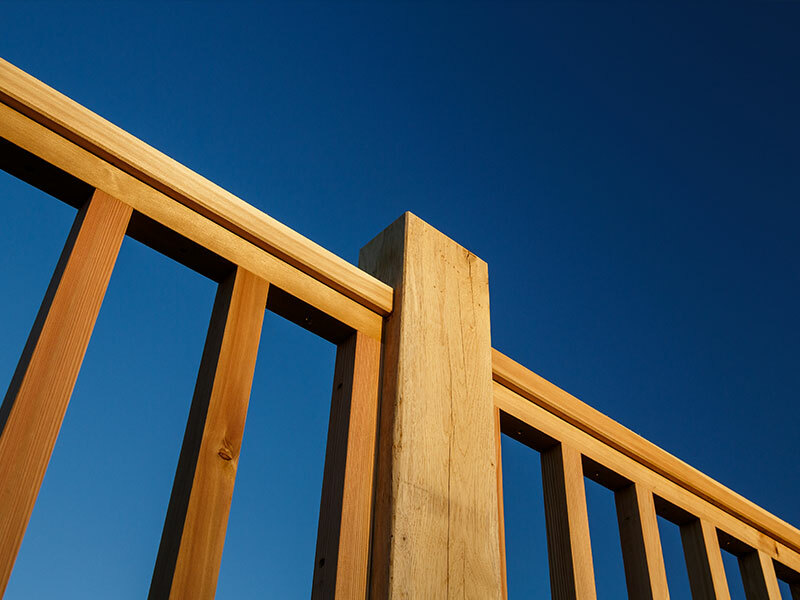 Siberian Larch Decking Grade B (sawfalling) decking was chosen for the rustic feel and great price based on the natural durability and service life required. 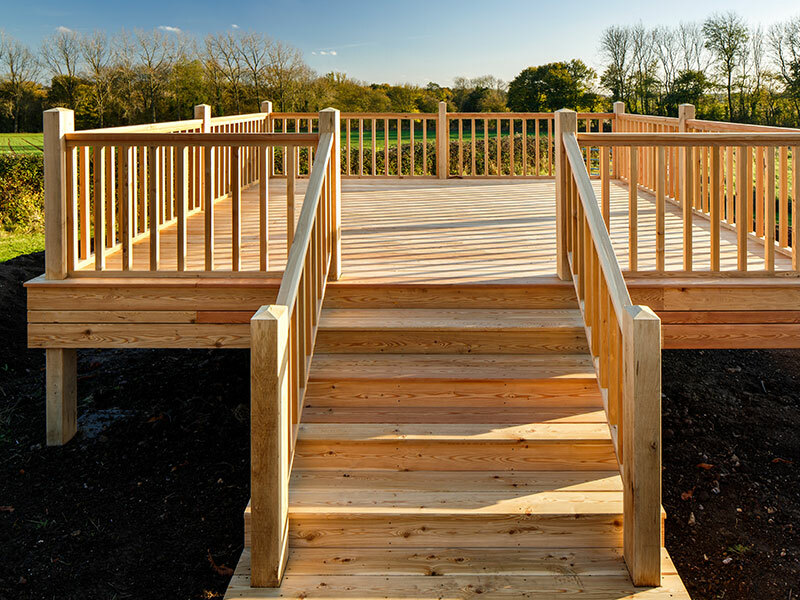 Oak from Millworks stock – sourced from leading French sawmills was supplied in planed and sawn sections for the sub-structure of the deck. 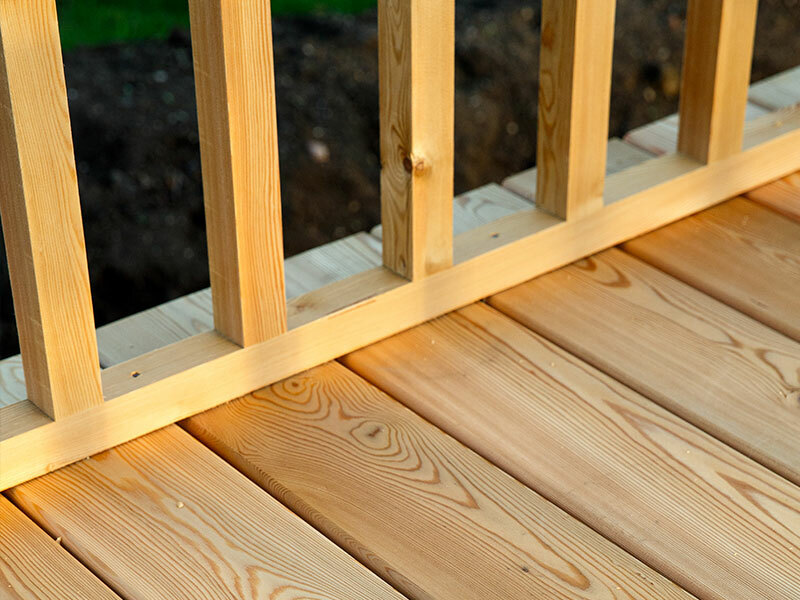 Additional moulding were manufactured to finish the rails. 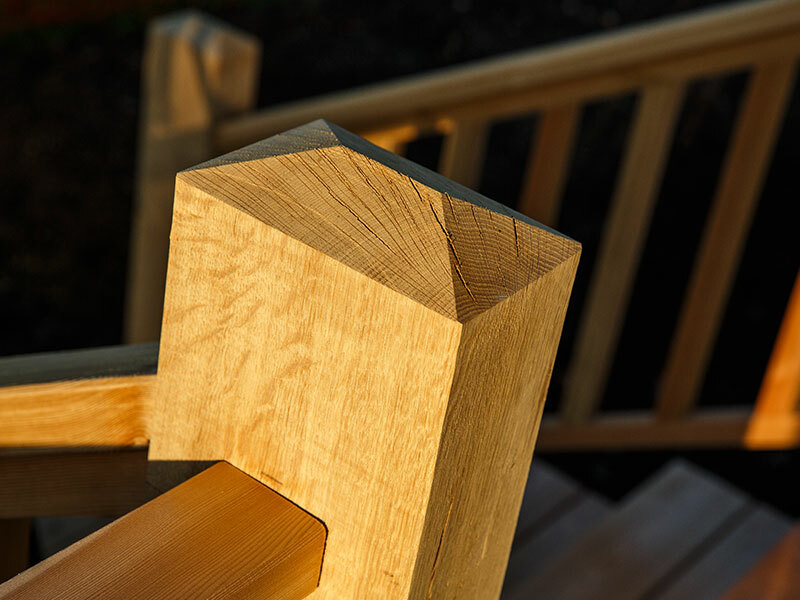 For smaller sections higher grades were used to achieve the appropriate finish.